You have the followers, you have the engagement. The reason you are building your brand’s social media presence is not to get a lot of engagement and followers. It is to further down the road sell more. Whether your main goal is to increase brand awareness, drive traffic, or newsletter sign ups, all of those things ultimately lead to sales. Jennifer Goldberg once said “Social media is great for audience engagement and brand awareness, but it takes a special touch to translate buzz into revenue” and this is extremely accurate when it comes to engagement being converted into sales on social media. In this article, I’ll be listing 4 ways you can convert your social media engagement into sales. Influencers have the power to generate tremendous results for your brand. But it’s not only because they have a lot of followers. It’s because they have authenticity and trust that is hard to obtain as a brand, and when they recommend and endorse your product, some of that trust is transferred to you, if the campaign comes off as authentic. You’ve probably already seen a ton of statistics telling how powerful influencer marketing is, so I won’t bug you with that. However, I will show you other relevant statistics that tell us why influencer can generate the results it does. In fact, 70 percent of teenagers say they trust influencers more than traditional celebrities. Moreover, 6 in 10 follow advice from their favourite creator on what to buy over recommendations from celebrities. The truth is that if your campaign doesn’t come off as authentic, you won’t generate very good results. Why? because people trust influencers, and that is the main reason to why they can generate such good marketing results. But if that trust is harmed, or completely disappears as a result of an inauthentic marketing campaign, unfortunately, the campaign won’t reach the goals you were hoping for. Authentic influencer marketing campaigns are vital for them to have any effect. When they come off as authentic, in other words like a real recommendation from the influencer that is based on their personal opinions, they tend to be most effective. When the campaigns are authentic, people trust the words of the influencer, and are therefore much more likely to buy from your brand. But how can you ensure your campaign is authentic? There are two major things that affect the authenticity of your influencer campaigns. Those two things are the influencer you work with, and if you give them freedom. 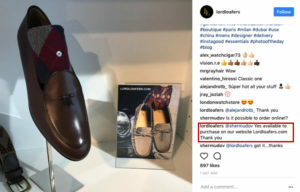 Knowing the difference between an authentic influencer and a non-authentic influencer is extremely though, and the thing is that it doesn’t only lie in the influencer, It also lie in the context and your brand. I mean that in general, there are no real “group” of inauthentic influencers. That’s because usually, a bad-performing influencer campaign isn’t the result of a bad influencer (even if this can be the case sometimes), it’s the result of the right influencer promoting the wrong product. Influencers are normally known to be experts in a particular niche. This means that people look up to them and have them as a go-to sources for information within that industry. What this also means is that they attract followers who are interested in just that. However, if you, as a brand, asks the influencer who is known to post gym-related content, to promote your beer, for example, the result will most likely be a disaster for your brand. Not only do they have the wrong audience as their followers base, they also come off as highly inauthentic, because their followers know the influencer will never drink beer during their diet etc. The bottom line is that in order to run an authentic influencer marketing campaign that generates a high ROI, you need to partner with real influencers who have a high engagement. Don’t just look at their follower count and conceive it as influence. Make sure you make a thorough audit of the influencers you plan on working with. Last but not least, and most importantly, make sure the influencer is within the same niche as you and have followers who are your target audience. Only then will the engagement that the influencer receive convert into sales. It’s also important that you give the influencer freedom when they create content. The influencer knows best what their audience resonate with, so let them to their thing so the campaign don’t come off as inauthentic and something that has been created by you rather than the influencer. 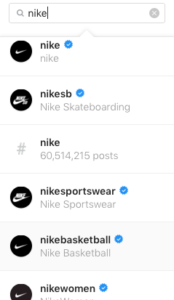 Many brands are posting like maniacs across all social media platforms they can get their hands on. And it’s not surprising, really, because every now and then, I see people who say that you should use every social media platform that you can come across. This is, of course not true. In fact, you’ll be better off dominating a few than generating average results on a bunch. The truth is that you are missing out on chances to convert your social media engagement to sales when you aren’t tracking analytics and allocating resources to the strategies and platforms that works the best for your brand. Measuring social media ROI and Results is an art itself, and before you got it all figured out, it can be quite tricky knowing where to start. Therefore, I won’t go into full detail on how you can measure your social media results. Instead, I leave you with the link to a complete guide. Guessing you’re a busy marketer (Thanks for sticking with me), I don’t want to take up your time more than necessary, so reading the linked article above is optional. The truth is also that not all social platforms are suitable for your brand. The two most important reasons is because your target audience don’t spend their time on all of them, and secondly, not all social platforms match your preferred type of content. Therefore, before you begin working with a platform, you should always look at their user demographics. This will give you a brief indication whether or not your target audience is to be found there. When you’ve put some effort into your social platforms, you need to evaluate the results you are seeing from each and every one of them, and decide whether or not you want to proceed using it, or if you want to put that effort into generating even better results with another platform you are already seeing great results from. But you are here because you want to convert your engagement into sales, right? Well, believe it or not, but choosing social platform is an important part of that. Why? Because instead of spreading your efforts across platforms that doesn’t work for you, you can put all your efforts into the platforms that are seeing the highest engagement. That way, you have the engagement. So how can you get the sales? With the help of third-party tools, you can see exactly what interactions, platforms and devices are contributing to sales conversions. In other words, you can see exactly what works, and what doesn’t. You can also see what campaigns are driving the most sales, and that you should use them more in the future. Now, I touched briefly on the importance of choosing the social platforms that are generating the most engagement for you, but the truth is that you won’t see much engagement if your aren’t actively engaging with your audience. When you engage with your audience, you build deeper relationships with your audience, and you’re increasing their trust in you. It’s quite simple actually! If your audience don’t trust you, they won’t buy from you! I sure as hell wouldn’t! When you receive a question on social media, you need to make sure that you respond to it. No matter if it’s a complaint, a simple “awesome post” or “nice”. Always, always, always respond back. When you respond to the comments you are receiving, you show that you acknowledge the comments you are receiving. You are also showing that you care about them and that you don’t believe you are “too good or big for them”. Because the reality is that you’re never too big to not respond to customer messages. If you are a brand who relies on your customers, doing so is vital for your customer retention. After all, on average, loyal customers are worth up to 10 times as much as their first purchase. And trust me, if you don’t show that you value them and respond to their questions, they’ll go somewhere else. Social media has become a huge platform for customer service. Now, 34,5% of people have social media as their favorite brand outreach tool, ending up at first place. That’s a crazy transition compared to just a few years ago where phone support was the big deal. But it’s easy to understand why it isn’t anymore, because you’re probably going to have to spend many minutes and sometimes even hours to talk to someone. In fact, 67% of customers have hung up the phone out of frustration that they could not talk to a real person. More and more people are abandoning traditional brand outreach tools like support calls and email, and head to social media to chat with the brand instead. 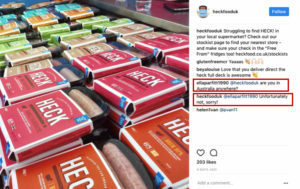 Heck foods knows this and responds to their customer inquiries on social media. The simple explanation is that people are spending more time on social media and therefore, it becomes a natural place to engage with brands on. And, of course, it is a much smoother and effective place to interact with brands. Engaging with your audience does not only mean that you should interact with them. It also means that you should share engaging content that they want to engage with. You probably know the importance of video by now. If you don’t, I’ll gladly explain! 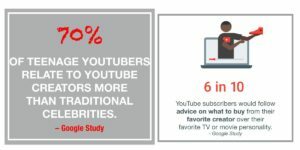 There are more types of engaging content, but video is the real boomer in today’s social media marketing. In fact, video is often being referred to as “The future of content marketing“. And it’s not really surprising that it has been allocated such an honourable name when you look at the numbers. Impressive and powerful numbers, right? 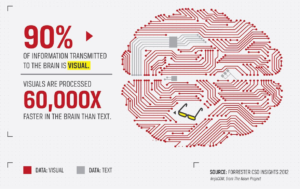 Well, it’s not very surprising when you know that 90% of the information transmitted to the brain is visual. Why am I writing articles instead of videos, you may ask? Well, first of all, the written word will always play an important role in society, and second of all, I love to write. The fact that you are reading what I write about, and actually care about it is just a bonus. Another type of content that is also widely popular is infographics. They allow you to tell a story and mix both text and images in an interesting and appealing way. Last but not least, multiple images are also a great way to share more engaging content. Multiple images is first and foremost common on Instagram and Facebook. This feature allows you to upload several images in one, that people can swipe through. When you upload more images, you can add more context to your images, and let them speak a story. In marketing, storytelling is everything. It’s easy to believe that you sell more by being more aggressive in your advertising. But that is not the case on social media. At least when you are marketing with the help of your organic reach. Most people aren’t on social media because they’re looking to buy something. They are on social media, and then they get influenced into buying something. The thing is that it needs to come naturally, and shouldn’t be something you force. And the truth is, you won’t get better results just because you shove ads down your followers’ throats. 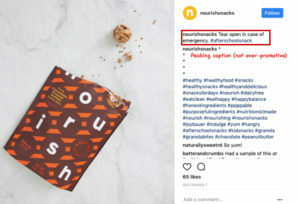 Look at NourishSnacks. They sort of hint to their followers with a “call to action” that makes their product appealing and a “must have”. Hard selling on social can be like going on a first date with someone and asking them to marry you right away. What you need to understand is that your content is contributing to driving sales as it is presenting the benefits of your products, but it’s not necessarily driving the sales. It is the trust, and authenticity that drives sales in first hand. And this is exactly what converting engagement to sales looks like. By sharing content that is related to your industry, while don’t necessarily being content around your products, you gain customer loyalty, trust, and the result is that with your content, you are soft selling, constantly reminding your audience about your brand’s existence. Engagement on social media is important. Without engaged followers, you’ll never be able to generate results from your social media efforts. With an engaged audience, however, you have the possibility to impact them into buying from you, but remember that Social media is great for audience engagement and brand awareness, but it takes a special touch to translate buzz into revenue. To convert that social media buzz and engagement on social media into customers and sales, you need to start using the strategies mentioned in this article. Do you have an engaged audience? Have you succeeded in converting them into customers?